In this innovative book, animals take the shapes of all the letters in the alphabet! From an alligator to a zebra, each animal represents a different letter—but what could it be? To find the answer, children can pull out the pages to find the letter and the animal’s name. This fun format is perfect for children who are learning to grasp the familiarity and phonetics of the alphabet, as the first letter of each animal’s name corresponds to the letter depicted. Children will learn their ABCs while exposing themselves to a wide array of animals. Parents and kids alike will delight in Suse MacDonald’s unique, cut-paper, collage-style artwork. Suse MacDonald published her first book, Alphabatics, for Simon & Schuster in 1986. This book won a Caldecott Honor in 1987, kicking off a prolific and successful career. Suse continues to write and illustrate books for children, including Fish, Swish! Splash, Dash! 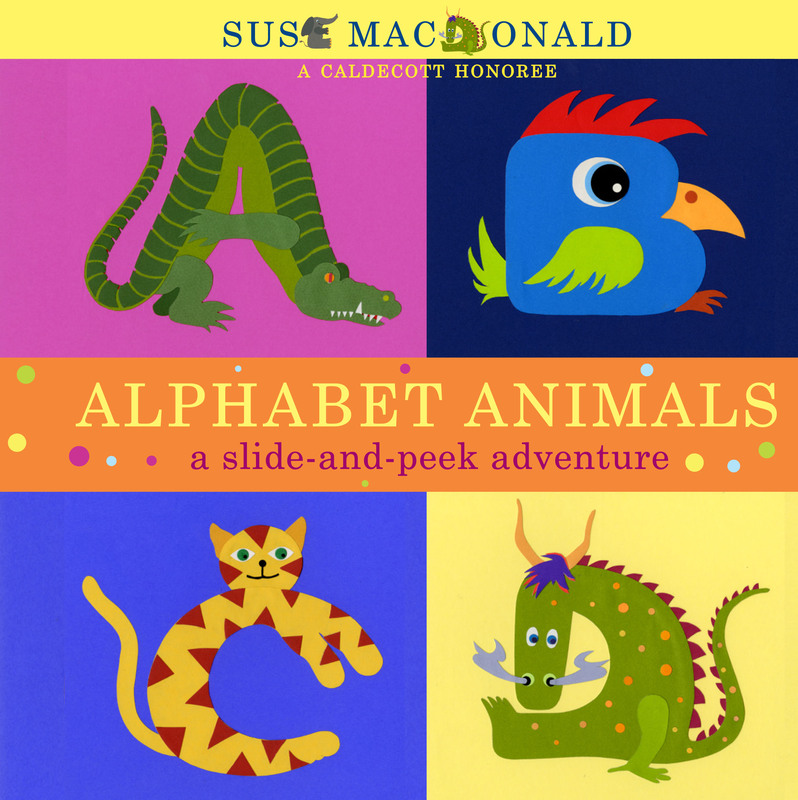 : Counting Round and Round, Alphabet Animals: A Slide and Peek Adventure, and Dino Shapes. Suse loves to work in her studio and finds pleasure in encouraging readers to make their own artistic discoveries. Suse lives in Arvada, Colorado, with her husband, Stuart.